Another Apache + Php + Mysql on windows! 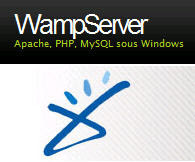 WampServer's functionalities are very complete and easy to use so we won't explain here how to use them. Example of WAMP Server menu. When you install WampServer, a "www" directory is created (generally c:\wamp\www). Create a directory inside for your project and put your PHP files in it. WampServer allows you to install almost all the existing releases of Apache, PHP and MySQL so you can reproduce exactly the settings of your production server. To add a new release, donwload it here and install it. Well, I am currently using XAMPP, would like to have a try on WAMP. It seem more easy to be installed. The third features is very nice, able to let you update and switch to the lastest version of PHP version. Have a try on it!